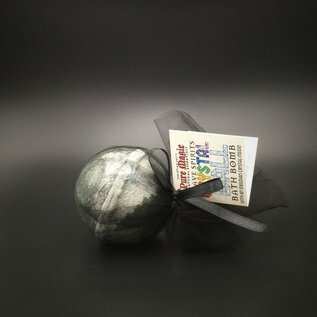 Home / Pure Magic Grave Spirits Crystal Ball Bath Bomb with an Obsidian Crystal Inside! This foaming bath bomb is infused with Pure Magic natural essential oils and charged by an obsidian crystal within. Release it into your bath and soak in a bubbling cauldron of luxurious magic. Incant the spell to conjure up the spirits of the dead.